Probably the sickest place we’ve been was obvious because I was sticking my head out the window the entire time. If you’re coming from the west, the stoke starts before you even enter the town of Tensleep. Along the roadside there are signs that indicate what formation you are driving through, and it also gives you the age in which they were formed. 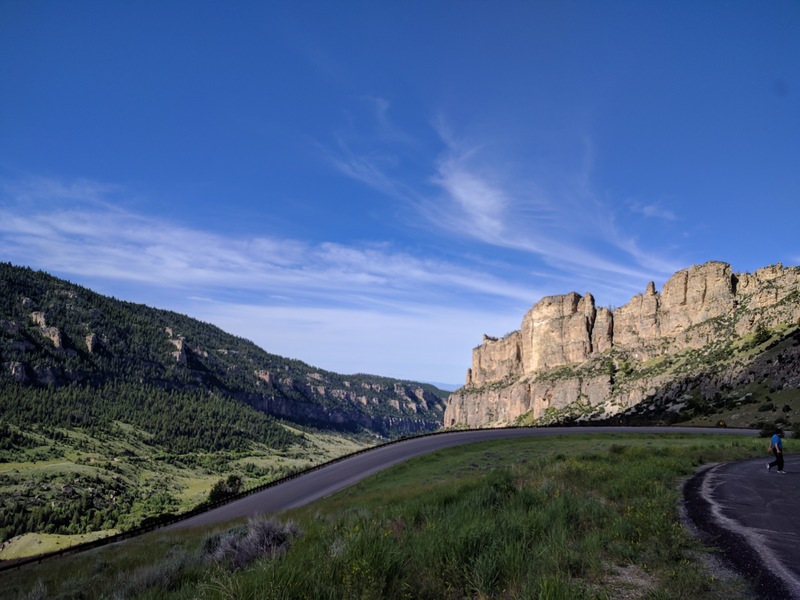 Then we entered the place of epicness, also known as Bighorn National Forest, where the road takes you through the canyon allowing you to continuously see the different layers on the cliff face and formation signs as you drive. As you come in from Tensleep, everything you see is sedimentary rock. Then, once you get to the east side of the forest, you hit layers of Precambrian metamorphic rock that provide super cool colors and structure. As we passed some geology class on the side of the road with their professor, we saw more recent sedimentary rock that had pieces of the metamorphic layers broken off from erosion. I don’t really have any jokes for this place because it was just super sweet to see and definitely worth checking out if you feel inclined. Once we made it through Bighorn, we headed out toward an encampment occupied by some aliens which just happened to be the original National Monument. 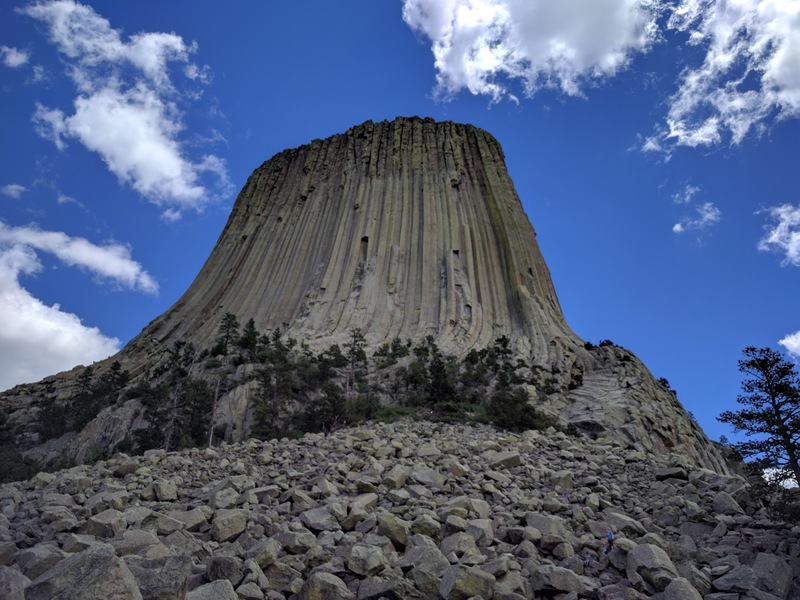 This large igneous monolith is called Devil’s Tower. Now it’s origins are debated (aliens), but it is a large tower of solidified magma that was exposed as the sedimentary rock surrounding it eroded over the years. Another thing I don’t know about this place is whether my alien references make sense because I haven’t seen that movie. 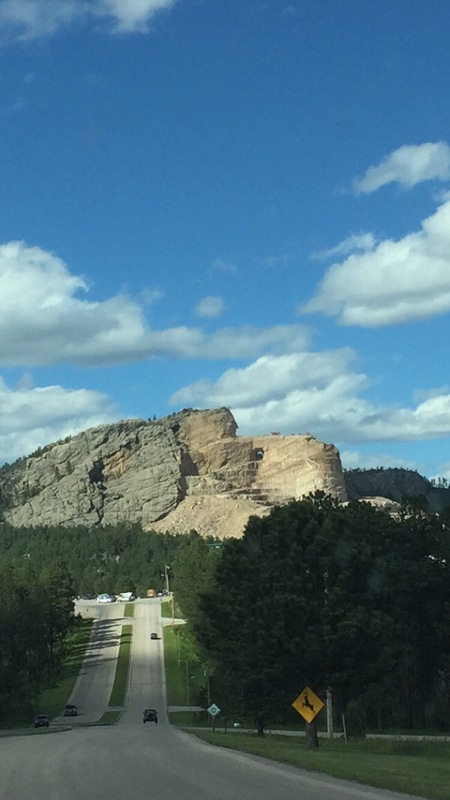 Now we come upon our least favorite section of the north portion of our trip: Mount Rushmore and Crazy Horse. I get that Mount Rushmore was a classic European move by exercising the hammer of man to conquer nature while Crazy Horse is a sequel (failure?). 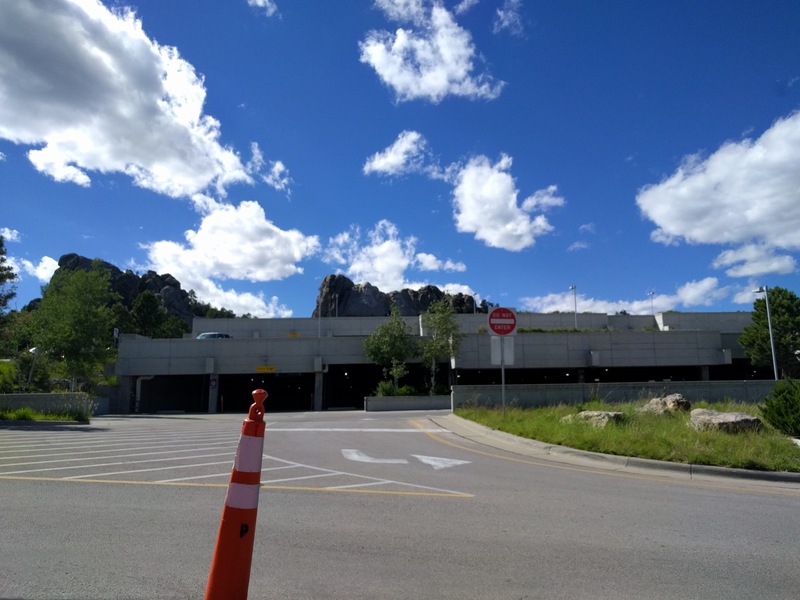 Your national park pass doesn’t get you into Rushmore, and Crazy Horse is owned by the Native Americans so you have to pay regardless. Crazy horse isn’t even remotely close to being finished and neither of these have anything more to do with geology than the Washington Monument does because they’re both made of rock. So both are a hard pass unless GDub, Abe, TR, or Jefferson are your favorite presidents. 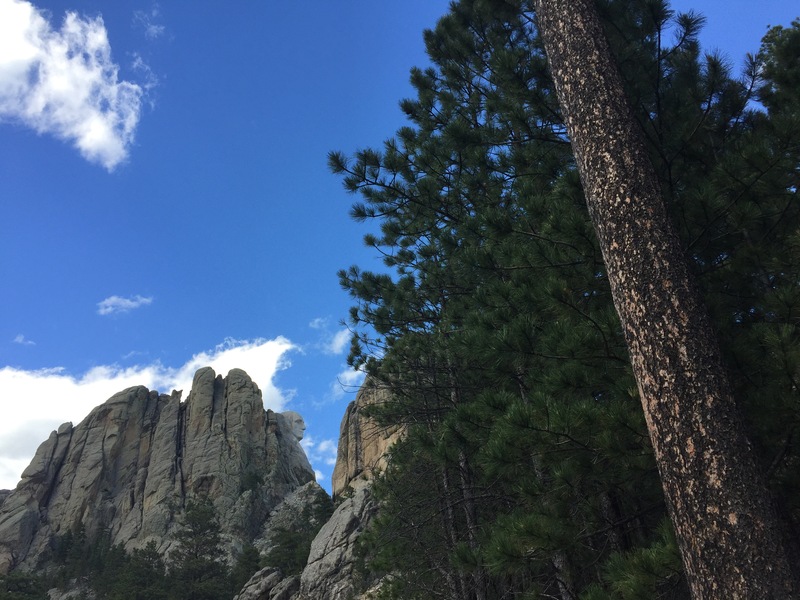 Now, once you get past the atrocious tourist traps, you can go experience the Black Hills which have some really cool stuff happening. The rock layers are exposed on the surface in a bullseye fashion with the oldest rock in the middle and getting younger as you move out. The center is made up of a granite batholith that was uplifted between 2 and 3 billion years ago. Then, around this batholith is a layer of super metamorphosed rock which provides fantastic colors and folds. Finally, there is sedimentary rock on the outside of the bullseye. This sedimentary layer provided a large source of gold in the 1800s, and it also created cave systems of which Wind Caves National Park is a part of. Moral of this section: ignore dead presidents and go hiking and scrambling. Democracy is dead anyway. 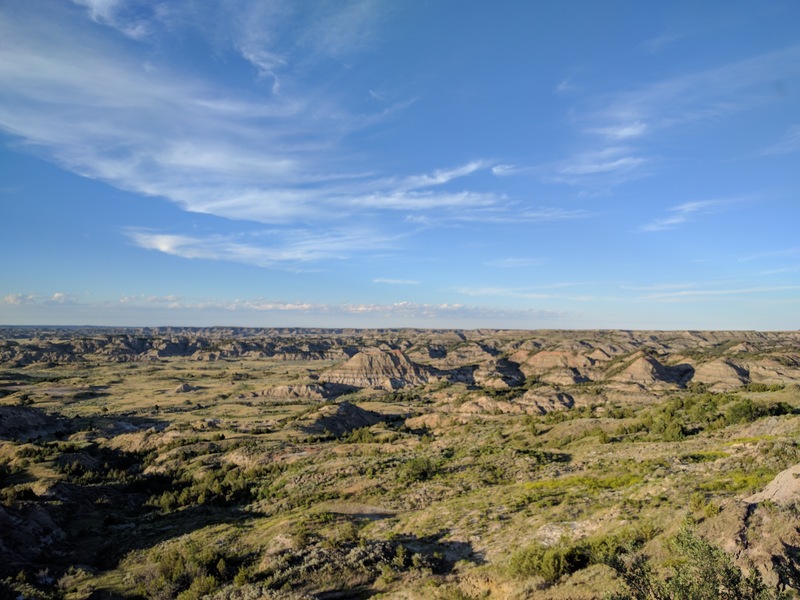 Now, we leave the mountains for the more straightforward geology of Badlands and Theodore Roosevelt National Parks in South and North Dakota respectively. Both of these are examples of badlands type of geology which is why I combined the two. The rock layers here are very poorly lithified which makes them very prone to erosion. The combo of heavy rainfall and steady erosion by the creeks are what form the geography that you can see. Then, the different colors that are visible from layer to layer are a result of different minerals in the different layers. The color difference is harder to see in Teddy Roosevelt because it is covered by a lot more grass and brush than the Badlands. However, in TR, you do get to see some Ford V8 Muscle Cars doing some off-road. Seeing wild horses makes some people very happy, just don’t try and ride them. Upon leaving Teddy Roosevelt, our trek through the most sparsely populated section of our trip began. 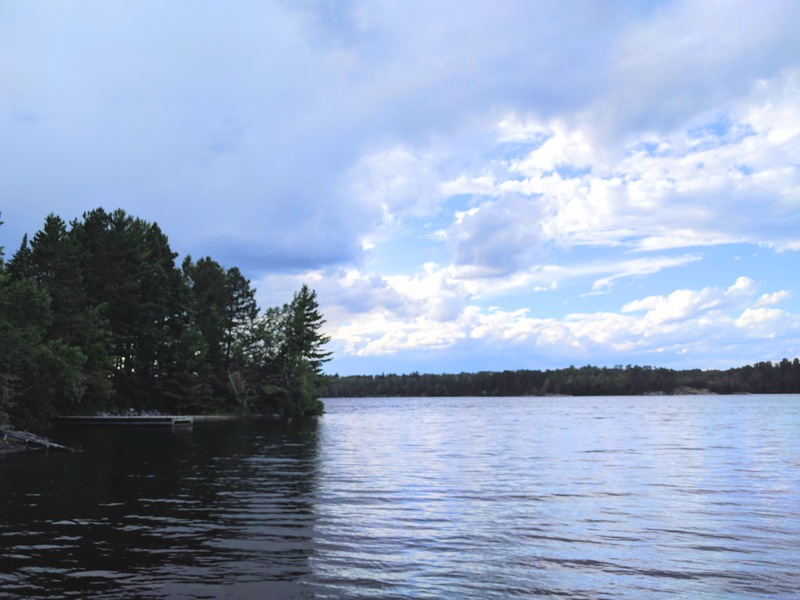 We made the couple day trek to Voyageurs National Park at the northeast point of Minnesota. This was the start of hitting the geology of the Canadian Shield which is some of the oldest rock on the planet, and it is made up of granite and gneiss. Because of the exposed granite, northern Minnesota is a good place to mine for things like iron or gold. There are even some old abandoned mines within the park. Despite glaciers scraping this area clean of all dirt during the ice age, most of this park is heavily vegetated preventing any rock from being visible. Now, this could be seen as a good thing if you’re into water activities like kayaking or boating because the glaciers gouged out many lakes in the area. The area’s geology is best viewed from the water anyway. We didn’t have kayaks, so we took a picture of our feet in the lake, and I didn’t add #geology to my Instagram post for the day. After being chased to the border by ticks, we made it into Canada and hopped back onto the TransCanada Highway only to realize it’s way more desolate than anywhere we visited out west. As we were waiting to find a place to pitch our tent, we came across Rainbow Falls Provincial Park on the north coast of Lake Huron. 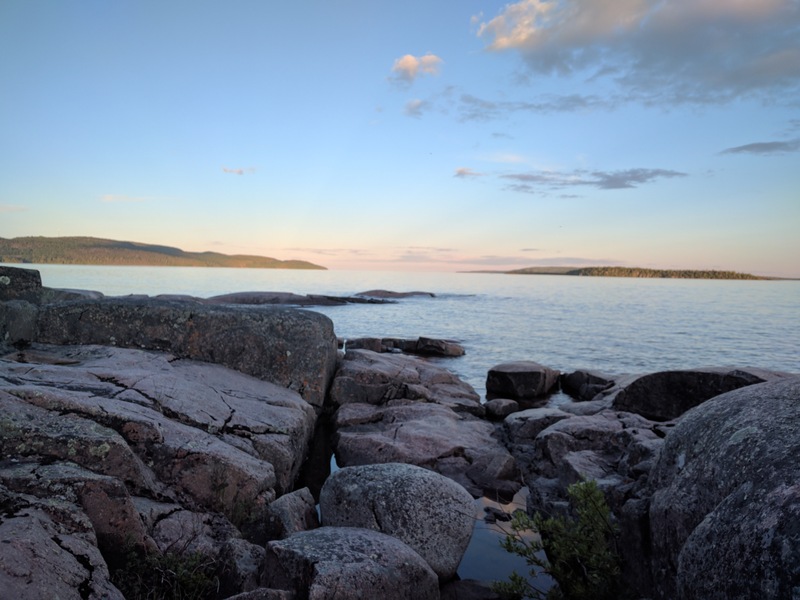 We pitched our tent on the beach right next to exposed Canadian Shield granite that reached out into the water. The beautiful sight we beheld was formed as an attempt by the North American Plate to split apart. The plate was unsuccessful in doing so, but left us with a beautiful rift valley that filled up with water which is part of the largest body of liquid freshwater on the planet, The Great Lakes. We did take a dip in the lake which led the Canadians in the campground to assume we were from The Great White North. The water may have been cold, but it had nothing on the temperature at which our parents used to keep their pool. If you tell people you’re doing a road trip in the western U.S., they’ll tell you to not let your gas tank go below half (a good tactic). However, these people clearly have never been to Northern Minnesota or most of Ontario because if you see a gas station, just stop. Also, we have realized that our Illustrious God King is merely trying to defend our National Monuments to fund his own. We’re sure he plans on purchasing Crazy Horse from the Native Americans and replacing it with his face, but keeping Crazy Horse’s proportional hand size.